HOUSTON, TX, July 18, 2018 /24-7PressRelease/ — Everhart Construction, a design remodeling firm based in Houston, Texas, has launched their new website. The design remodeling firm published their new website to better reflect the company’s values and can-do attitude. The new website not only shows off their work, but it also gives future customers a look at exactly what they’ll receive when they choose Everhart Construction for their home remodeling project. The new website has a sleek design, enhanced functionality, and new and improved content. Everhart Construction focused on communicating the company’s main mission: getting you exactly what you want, with no hidden costs, and a quick turnaround. The website also gives back to the community with its award-winning blog section full of great information. “We have really grown over the past few years, and our website wasn’t matching our work. We pride ourselves in what we do as a company, and wanted a website to show it off,” said Lee Mash, President, and CEO of Everhart Construction. Everhart Construction wanted to rebrand themselves with the new website because the old website didn’t tell the true story of Everhart Construction. They wanted the people of Houston and its surrounding cities to know they are a full-service design and build firm. The new website really shows off what they can do for Houston, from residential kitchen and bathroom remodeling to commercial build-outs and renovations. “Something else that we wanted to make sure of was that our personality showed on our website. We have cut out all the gray areas. We don’t give out an estimate; we give true bids, and they’re usually ready within 24-48 hours, which is unheard of in the construction business,” said Mash. With over 1,300 remodeling projects ranging from simple kitchen or bathroom redesign to full-on room additions, Everhart Construction has Houston covered. Because they are a design remodeling firm, they have an advantage when it comes to the complex process of remodeling your home. Other remodeling companies can’t compare to Everhart’s extensive design experience. Everhart has the expertise and passion for home remodeling projects to deliver your vision. Everhart Construction’s new website will be updated on a regular basis so future customers will be able to see their latest work. You can check out their new website right now at www.everhartconstruction.com. 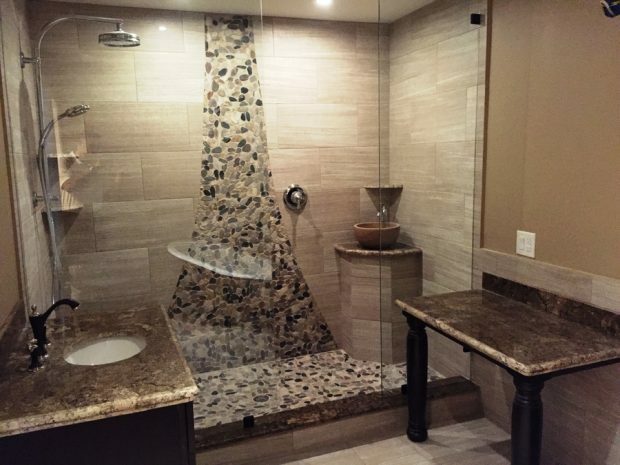 Everhart Construction, a full-service design and build firm, can turn your room addition, bathroom remodel, or kitchen remodel project into reality. We are the best remodeling contractors Houston has to offer. Everhart Construction employs design consultants, not just order takers. When a design consultant arrives at your home, they will discuss your project with you at length to get a better understanding of what you are trying to achieve with your remodeling project. We are proud to have earned an A+ rating with the Better Business Bureau and the coveted Goldstar Award for Outstanding Customer Service.